The Louis Armstrong House Museum and the Jazz Journalists Association will celebrate International Jazz Day, April 30, 2013, with a presentation of never-before-heard Armstrong recordings, a trumpet fanfare in honor of Louis, and a soul food reception. 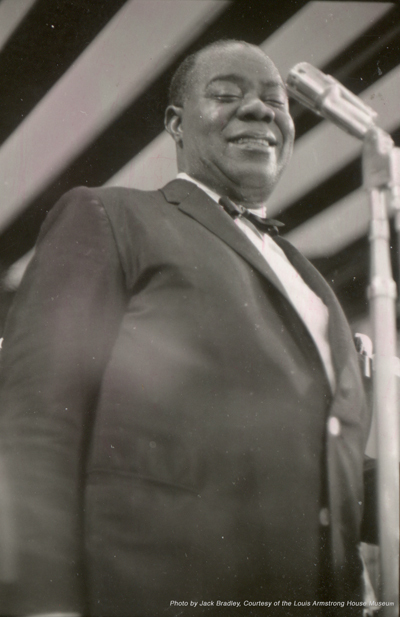 The event, Louis Armstrong at Freedomland: Never Before Heard Recordings of an American Icon, a Listening Session & Lecture, begins at 2pm and is free and open to the public. It will be held at the Langston Hughes Community Library and Cultural Center located at 10001 Northern Boulevard in Corona, Queens. Reservations. can be made by calling the Louis Armstrong House Museum at 718.478.8274. The focus of the event is the public premier of newly discovered recordings by the beloved trumpeter and entertainer Louis Armstrong, who made them at a fabled although short-lived Bronx amusement park in 1961. Highlights from Armstrong's live performances from the 85-acre park billed as the "World's Largest Entertainment Center," which boasted more than 63,000 guests for its opening day in 1960, will be played. These recordings, recently donated to the Museum by the son of Freedomland sound engineer Peter Denis, have never been circulated or issued, and are not listed in jazz discographies. The program will be presented and interpreted by Ricky Riccardi, the Museum's Archivist and the author of What a Wonderful World: The Magic of Louis Armstrong's Later Years, and Dan Morgenstern, recently retired Director of the Institute of Jazz Studies at Rutgers University. 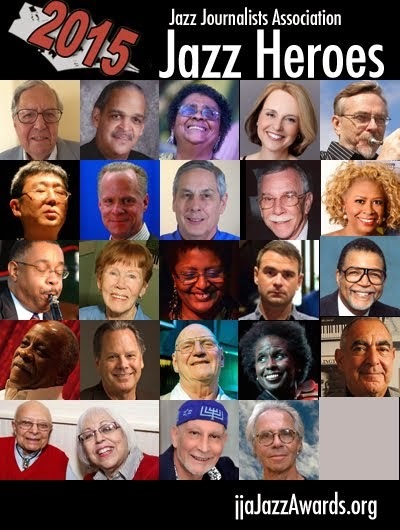 Morgenstern is a National Endowment for the Arts Jazz Master, the nation’s highest honor in Jazz, as well as a recipient of the JJA's Lifetime Achievement in Jazz Journalism Award. UPDATE 5/25: The program will also feature a trumpet fanfare composed just for the occasion by trumpeter/ composer/ performance artist Stephanie Richards which she'll perform with fellow New York trumpeters Jeremy Pelt, David Weiss and Igmar Thomas. This event celebrates International Jazz Day (sponsored by UNESCO), and the culmination of Jazz Appreciation Month (a major initiative of the Smithsonian Institution. New York City Mayor Michael Bloomberg has issued a proclamation honoring International Jazz Day, which will also be presented as part of the program. Following the presentation, the Jazz Journalists Association will toast Armstrong at a special soul food reception to mark the finale of its JazzApril media campaign in support of Jazz Appreciation Month, International Jazz Day and grassroots jazz activism in the U.S. and beyond.